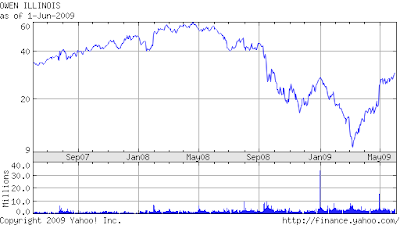 AlphaNinja - Longbow upgrades glass container maker Owens-Illinois(OI) to Buy, sees 30% upside. Earnings will be down 25% this year to 2.54 before rebounding in 2010. 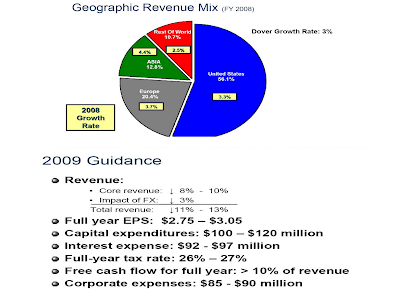 However the company's FCFY(free cash flow yield on market value) looks to be in the $700m range, a nice plump 14%. The stock is up 200% off its lows, so a pullback would be a lovely opportunity to build a position. 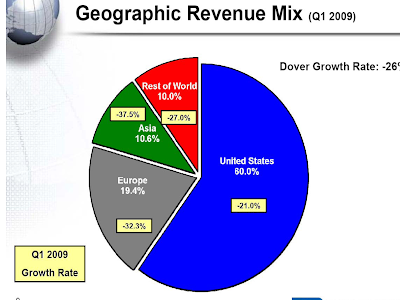 AlphaNinja - Diversified machinery maker Dover Corp (DOV) upped to buy at BofA with a $45 target, implying 30% upside. This target would appear to hand the company a rich PE ratioin a very trying environment. I know AlphaNinja sounds like a broken record, but in this type of market I look for cheaper opportunities than this. 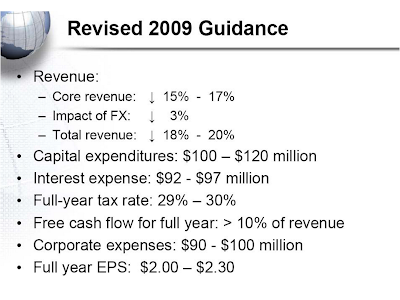 Still, they kept FCF guidance pretty much intact for the year - $600m would be a 10% FCFY yield, or more net of balance sheet cash.